Please join us as we offer a class for hvac technicians needing their EPA Refrigerant Certification. All technicians working with refrigerants must be certified in order to purchase refrigerants or to add/remove refrigerants from a system they are working on. 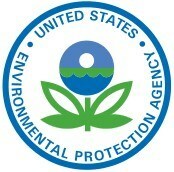 There will be a 3-4 hour review of required information targeted to assist in passing the required EPA examination. Class begins at 9:00 am and runs until the last person completes their examination. Exam begins after lunch and generally takes 1-1/2 to 3 hours. Please bring a photo ID, calculator (not on a smartphone), and #2 pencil. If you are already EPA certified and need to test for a higher/Universal certification, please bring your current EPA licence to class as well. Testing & class materials available in English & Spanish!